There’s a lovely little square at La Glorieta. 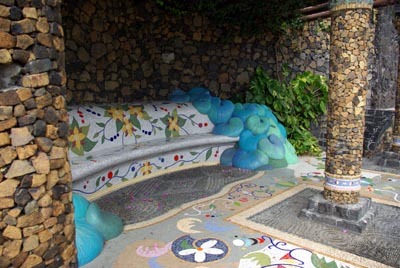 The whole floor is covered in mosaics, as are the benches. The plants are all local ones. 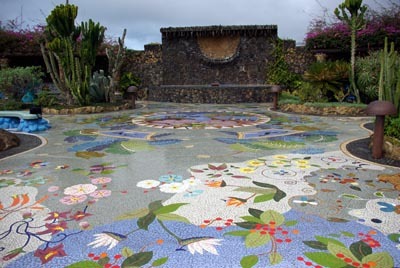 Most of the vertical walls are made from the local volcanic stone, as is the back of the little fountain of a mosaic chameleon. 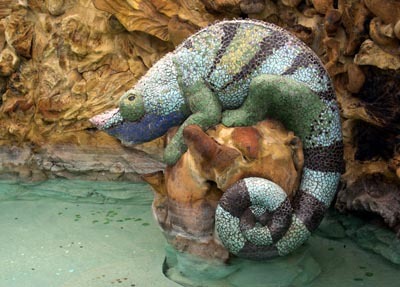 La Glorieta square: The chameleon fountain. 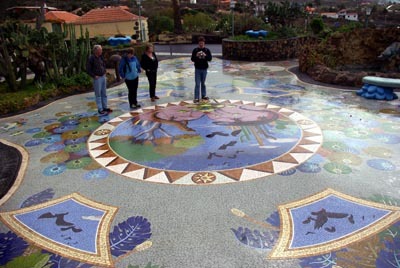 The whole lot was designed and made by a local artists, Luis Morerea . To get there take the road from El Paso, south towards Las Manchas. The turn off is on your right at km 40. 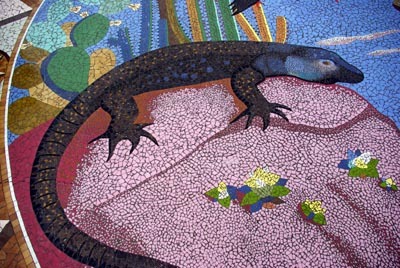 La Glorieta square: Detail from the central design.